Credit Union West in Arizona is offering some very attractive rates on CDs and rewards checking accounts for those living in Maricopa or Yavapai counties. A 60-month CD that pays 2.90% APY on balances from $10,000 - 49,999 and 2.95% APY on balances $50,000+. A 60-month IRA CD that pays 3.15% APY on balances from $10,000 - 49,999 and 3.20% APY on balances $50,000+. A checking account that pays 2.51% APY on balances up to $10,000 as long as you meet the minimum transaction requirements. To receive the rate a customer must have at least 15 debit card transactions each monthly billing cycle, be enrolled to receive eStatements, and have at least one direct deposit post and settle each month. Both the 60 month regular CD rate and the IRA CD rate are amongst the highest rates in the country for that CD term. The 2.51% rewards checking rate is not the highest, but it is still a good competitive offer. The catch is that you must live in either Maricopa or Yavapai counties or have a relative who is already a member of the credit union. If you don't happen to fulfill either of these criteria, then take a look at some of the credit unions in your area. Or, take a look at Pentagon Federal Credit Union which anyone can join and which is offering a 60-month CD for 3.04% APY. Credit Union West, headquartered in Glendale, AZ is a medium sized credit union with $508 million in assets. It has 13 branches located around central AZ. On its website, Credit Union West says that is has an agreement to share branches at over 5,000 locations nationwide wherever the Co-Op Shared Branch sign is shown. At these locations you can make deposits, loan payments, transfers, and more. You can view other locations that are available by visiting the Co-Op Shared Branch website. Thanks to Charlene for bringing this to our attention! I have recommended debt-side Structured Notes as instruments to add to a balanced portfolio, but Barclays Capital's latest offering is one that I particularly dislike. I have written about several debt-side bank issued Structured notes in the past (an overview of structured notes is provided here). Structured Notes can offer investors much higher yields than savings and CD accounts. Some Notes offer yields higher than bonds from equivalent credits and protect against rising interest rates. Therefore I have suggested that investors allocate money to these instruments as part of a diversified portfolio. 4) and, kill provisions that could result in interest not being paid for long periods (even the life of the bond). For these reasons, it is especially important when purchasing a Structured Note that the investor is being offered a return commensurate with the risk, that the risk is reasonable, and that the credit is strong. While Barclays Capital is rated A by S&P, their current offering fails in the other respects. Barclays Capital's current Structured Note offering (CUSIP 06741T4J3) is a 15 year Note which pays 6% in years 1 through 6 and 10% in years 7 through 15. However, if 6 month USD LIBOR trades over 5%, a kill provision in the Note activates, and the Note pays no interest. As this chart indicates, 6 month LIBOR routinely traded above 5% for the period from 1985 to 2001 and then traded above 5% prior to the 2008 recession. Barclays is billing the Note as an alternative to a CD that provides a steady stream of income if interest rates fall, or do not rise. It is not a viable CD alternative for two reasons. First, interest rates are rising and in a rising interest rate environment, a 15 year instrument is much more dangerous than a 1 year, 2 year or even 5 year CD. Second, CDs guarantee some return if interest rates do rise and this interest rate does not. In fact, the chart above shows that if we revert to a normalized interest rate environment at any point that this Note is still outstanding and you will likely be earning no interest for a long time. To boot, this Structured Note is callable by the issuer at any quarterly payment date. Therefore, the Barclays Capital is never taking more than 3 months of interest rate risk, but the purchaser is taking 15 years of interest rate risk. In other words, the purchaser is taking all the risk here and the seller is taking basically none. I have built a portfolio of Structured Notes for my own account and found many that I like (one that I particularly like was discussed here). This is one that I particularly dislike. It seems that Barclays is going after widows and orphans or at the very least after naïve investors who can no longer remember what a normal interest rate environment is supposed to look like. Others will sleep better by checking out the latest short term CD rates on this site. Caveat emptor! Sol Nasisi, the President and Chief Rate Analyst at BestCashCow, provides his insight on what to expect savings rates to do in 2014. Helpful reading for anyone trying to decide where to put their cash in 2014. "Savings rates will continue to drift lower for the next 12-18 months before beginning to move higher. How high and how fast they move will depend on the government's ability to stop bickering and put a sound budget in place, the continuation of a recent economic uptick, technological advances, and the ability of Europe to put its woes behind it and resolve its fiscal problems." This is pretty much what happened. Longer-term CD rates did begin to move up slightly in June as the Fed began to signal an end to its taper program but savings accounts and shorter-term CDs stayed pretty flat. Overall, as the chart below shows, rates declined or remained flat. One year average CD rates started the year at 0.405% APY and finished the year at 0.348% APY. Five year CDs averages started at 1.159% APY and despite the second year rally, finished down at 1.083% APY. For the second straight year, online savings accounts held their own, dropping the last, from 0.737% APY to 0.712% APY. The biggest rate news for 2014? We are in a rising rate environment. Rates are not going to spike to 5% anytime soon, but barring a major calamity they are moving up. Why do I say this? Let's look at the general rate environment. The economy is growing and is expected to gain additional momentum in 2014. American finances have improved and housing sales continue to be strong. In addition, the drag from cuts in government spending will abate with the new budget passed in December 2013. Europe has stabilized and started to grow. Europe didn't fall apart in 2013 as many expected and some countries, such as the UK, have actually begun to grow again. Europe is a huge market and a healthier continent on the other side of the Atlantic will help boost growth. Government paralysis bottomed out and is improving. The government shutdown in November marked a low point for government paralysis and since then both Republicans and Democrats have shown a bit more flexibility, even agreeing to a two year spending resolution. Keeping the government out of the headlines is a positive boost to the economy. The Fed has committed to keeping rates exceptionally low as long as unemployment is above 6 1/2 percent. It currently stands at 7.0% and by the middle of 2014 will reach the 6.5% range. The only caveat to this is that the Fed recently announced it may keep rates low even if unemployment hits its goal, if inflation remains below 2%. The inflation rate through November 2013 was 1.2% (December 2013 data has not been released yet). I project steady but moderate economic growth of around 2.5% in 2013. The banking sector has largely recovered from the crash of 2008. The sector is now better capitalized. According to FDIC data, equity to assets in the banking sector has increased from 9.36% in December of 2008 to 11.17% in September 2013. In addition, the average Texas ratio of all U.S. banks, a signal of banking sector distress has dropped to a five year low of 14.21% after being as high as 22%. As the economy improves and rates rise, banks will begin to lend more aggressively, further stimulating growth. There are still a few headwinds to the global economy that will constrain growth and rates. Deleveraging. This refers to both financial firms and individuals reducing debt. In the process of doing this, money that would have been borrowed and spent on purchasing cars, houses, and other goods is instead spent on paying down debt. This saps demand and economic growth. According to Gary Shilling, deleveraging after a financial crisis generally takes 10 years, leaving us with four more years to go. I think this analysis makes a lot of sense and until we have worked off the binge of debt acquired in the 2000s it's hard to see very robust growth. Demographic trends are unfavorable. Unfortunately, the United States has entered a demographic slide. As the large baby boom generation ages and retires, this puts a large strain on the country's productivity and spending. I believe that demographics is a general driver of economic development. A young population lifts all boats. An aging one will leave quite a few boats stranded and make it difficult for the others. Japan and Europe have even worse demographic problems and their economies reflect that. As China's population ages, look for its growth to ebb. This demographic slide will be a factor for the next ten to twenty years, not stopping growth, but certainly acting as a headwind. When you put all of this together, I see an improving U.S. and world economy, held back by demographics as well as a lingering hangover from the debt binge of six years ago as well as an uncertain U.S. government fiscal situation. 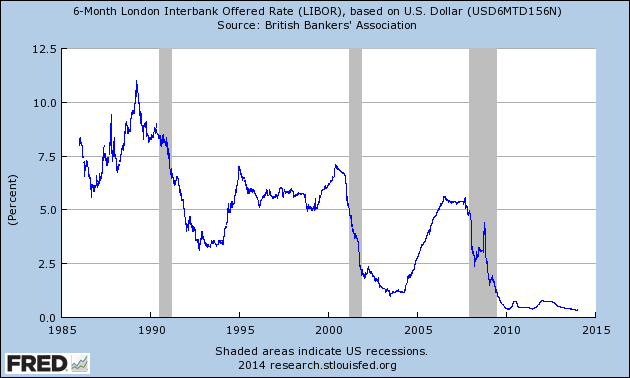 There is always a chance of a major shift in rates should an unforeseen event occur - like 9/11. Since these are unpredictable, I just say that savers and investors should always be aware of these types of risks. In general, cash in a FDIC insured account is must more immune to these types of shocks than money invested in the stock or bond markets. Like last year, the data still show that opening a savings account is a better bet than a 1-3 year term CD and I expect this to hold through 2013. In fact, as the chart below shows, the spread between the average interest rate on an online account and a one year CD is at an all-time high. Longer maturity CDs (3 years +) though are becoming more competitive and while I warned savers away from them last year, now I think they are something to consider, especially if you can get a CD with a rate above 3%. For longer-term money, look to open 4-5 year CDs at local community banks or larger credit unions. BestCashCow research has shown that community banks and larger credit unions offer the most competitive rates on longer-maturity CDs. For the fifth straight year, yields on savings and CDs are pretty abysmal. We like to say the best you can do is make the best out of a bad situation. By shopping around, a saver can earn an extra half to full percentage point. On $100,000, that's $1,000 in extra cash per year. Remember, even in today's environment, there is competition for your cash. We're closing in on the end of 2013 and while rates have ticked up a bit, the operative word is still "low yield" for savers. Next week I'll post my thoughts on 2014, and while I do think rates will move up a bit more, we're not looking at any kind of great thaw. The cold, harsh winter of low rates will continue. Over the last month, we've received some encouraging economic indicators, with GDP beating expectations, holiday spending up, and unemployment down to 7%. The Fed has even hinted at withdrawing a bit from the bond market. Despite this, the rally in deposit account rates seems to have stalled. From one month ago, 12 month average CD rates decreased by two basis point from 0.349% to 0.347% APY. Average 3 year CD rates dropped from 0.713 to .711% APY. Five year average CDs, the product showing the largest rate increases several months ago dropped form 1.079% to 1.073% APY. The bright spot? Online savings accounts which ran from 0.685% to 0.702% APY. Online savings accounts continue to hold up, having moved very little over the past two years. If you have not already, sign up for the BestCashCow Weekly Rate Update Newsletter and get the best rates from your state or from around the country delivered right to your email box. It's free and takes 30 seconds to do. Sign up. During this period, top savings and CD rates have inched up a bit, reflecting the increase in average rates from the prior couple of months. These rates will come down if the averages continue moving lower. Online Savings: My Savings Direct, EBSB Direct, and iGobanking.com all have moved into the top rate position with a 1.00% APY online savings account. My Savings Direct has a $1 minimum balance while the other two ask for substantially more money. 1 Year CD: GE Capital Bank and CIT Bank jointly hold the top spot with a 1.05% APY. Both have minimum balances of $25,000. 3 Year CD: Pentagon Federal Credit Union has retains the top spot but has significantly increased its rate from 1.51% APY to 2.02% APY. This is significantly higher than the next best rate from CIT Bank at 1.40% APY. 5 Year CD: Pentagon Federal Credit Union retains the top spot with its 3.04% APY CD. This is almost one percentage higher than the next best rate. Rewards Checking: Hope Credit Union and Money One Federal Credit Union both have the top rewards checking rate of 3.01% APY for balances up to $10,000. Both credit unions are open to members from across the country. It was possible in the past to find some rates on local CDs that beat the online rates. But PenFed is now head and shoulders above almost every bank out there - online or brick and mortar for the 3,4, and 5 year terms. If you don't like opening accounts online, then you can find some attractive rates by searching our comprehensive local rate database located here. The difference between average 1 year CD rates and average online savings rates rose to a new high last week, continuing to enforce the benefit of keeping money liquid in an online savings account. On average, online savings account rates pay 0.355 percentage points more than 1 year CDs, up from 0.23 percentage points more at the beginning of last year and up from last week's previous high of 0.355% APY. In addition to paying more than 1 year CDs, online savings rates pay almost the same as 3 year CDs. Iin a rising rate environment, it makes more sense to stay liquid with an online savings account than to lock money into a low rate CD. In many ways the economy appears to have turned a corner in the last couple of weeks. The government is on the eve of passing a two year budget deal that would put the threat of another shutdown in the rearview mirror - at least for two years. Unemployment has dropped to 7%, just half a percent above the level the Fed has indicated is needed to begin raising rates. The stock market continues to remain high and GDP growth came in at an annual rate of 3.6% in the third quarter - the highest level since the start of the financial crisis. But for every give their seems to be a take. Let's take the budget deal. Yes, it is a step forward from a shutdown, but it does little to tackle the country's long-term financial problems. The drop in unemployment to 7% wasn't accomplished due to job growth, but mainly because individuals have left the labor force, either due to retirement, or because they have given up looking for a job. The latter indicating a stubborn problem in long-term unemployment. And that 3.6% growth? It came about not because of increases in consumer spending, but because of a lack of it. U.S. GDP increased because businesses stockpiled inventory. Almost 50% of the increase in GDP came from this increase in inventory. But an increase in inventory is not consumer spending, which powers the economy, it is goods and services sitting in a warehouse. Holiday spending at least looks to grow a bit. The National Retail Federation expects holiday sales to increase 3.9 percent this year to $602.1 billion. The ten year average holiday sales growth is 3.3 percent. So, at least some of that inventory may get worked down in December. Are you buying more this year? U.S. economic growth: Slow to moderate. Economy muddling along, not really creating jobs and not really losing them: Neutral. Technology: Gas prices at the pump coming down and plentry of natural gas for the cold winter months due to fracking and other extraction innovations. Slightly Positive. My outlook: Going into the new year, the damage from the govenment shutdown should fade. Unless Obamacare falls off the tracks, consumer confidence should continue to tick up. Look for deposit rates to begin heading higher again soon. The Fed will increase the Federal Funds rate within the next 12 months. Savings rates will hover in the 2-3% range by the end of next year. The data continues to show that opening a savings account is a better bet than a 1-3 year term CD and I expect this to hold through 2013. Online savings accounts have held the line over the past year and even though CD rates have stabilized and ticked up, the premium is still not enough to jusity locking the money away. While the premium for opening a 5 year CD over a 1 year CD has increased over the past six weeks, it is still only at 0.722 versus over 1 percentage point in October 2011. In a rising rate environment, it does not make sense to tie up money for 5 years with only a 30 basis premium. Is it worth it to go long and open a 5 year? I don't think so any more. I think the 5 year CD rates are just too low and that you'd be better off putting your "safe" money into an online savings account and waiting for rates to rise. I spoke to one banker several weeks ago who said that "no one was investing in long-term CDs." Keep your powder dry. For money you want to keep liquid, go with online savings accounts. They offer better rates than 1-3 year CDs and athough several banks have dropped rates in the past month, they have still offered decent rate stability over the past year and a half. The end of the year presents a good time for savers and investors to take stock of their financial position not only because it is a reflective period but because there are some very real financial deadlines associated with December 31. Missing them or not being aware of them could cost you a bundle. Here are a few things that every saver should do in the next couple of weeks, if you haven't done them already. The Turbo Tax Taxcaster 2013 allows you to enter some rough calculations to get an estimate of how much you might have to pay or owe. It also shows how items like charitable giving might impact tax situation. Knowing how much you might owe or receive as a refund can help you plan out your next moves going into the next year. Make any tax deductible gifts that you want. The holiday season puts people in the mood of giving, which is why there are so many charitable solicitations arriving in the mail. Charitable contributions can be effective in lowering your tax bill, so if you are looking for any last-minute tax deductions, open your wallet or purse and give to your favorite causes. Consider selling investments that have lost value. The increase in the highest tax rate on long-term capital gains from 15% to 20%. A new 3.8% Medicare surcharge for high-income taxpayers that effectively pushes the highest tax on long-term capital gains to 23.8%. The increase in the top tax bracket to 39.6% from 35% for ordinary income, nonqualified dividends, and short-term capital gains. With the Medicare surtax the top rate can be as high as 43.4%. This article from Fidelity has helpful information on tax harvesting strategies. Don't forget to use the money you have set aside in your flex spending accounts. Now is the time to get that cavity drilled or a new pair of eyeglasses if you have money left over. Any money left over at the end of the year is gone. If you are over 70 1/2 and have a qualified retirement account (IRA accounts, 401Ks, 457 plans, or other tax deferred plans) then you must start withdrawing money or you will be penalized heavily by the IRS. The amount that you withdraw is determined by an IRS table (view the worksheet here to calculate your required distribution). The penalty for not withdrawing the money is stiff, 50% on the amount that was not withdrawn on time. Tax deferred or tax free investment vehicles have annual contribution limits. For example, the annual 401K limit is $17,500 while the annual Roth IRA limit is $5,500 ($6,6500 if age 50 or older). Depending on your employer's plan design, you might be able to make additional contributions to the plan to bring it up to the limit, or change your percent of salary steered towards your retirement account. Speak to your HR department to investigate this further. Check to make sure your savings accounts are earning you the most income. The end of the year is also a great time to review money held in savings accounts, CDs, and checking accounts to be sure you are earning the highest returns. The same is also true of fixed rate IRA CDs. BestCashCow lists the best rates on various bank accounts the site's Savings Booster Calculator shows how much extra money you can earn by moving your money to a higher paying account. Taken together, these seven steps will help close out the year on a positive note and ensure that you haven't left any money on the table as you begin the new year. Pentagon Federal Credit Union (PenFed) upped the rate on its 5 and 7 year money market certificates (CDs) to 3.04% APY, the first return to 3% in a long while for the 5 year term. Pentagon Federal Credit Union upped the rate on its 5 and 7 year CDs (called money market certificates by PenFed) to 3.04% APY, the first return to 3% in a long while for the 5 year term. That is by far the best 5 year CD rate (check table) with CIT Bank offering the next highest rate at 2.05% APY. The 3% rate is also available in a 7 year money market certificate. In general, I have been arguing against longer-term CDs because I believe that rates are on the rise and it doesn't make sense to lock-in for a long term at a lower rate. But 3.04% is pretty attractive and savers looking for a little extra yield may find this worthwhile. The average 5 year CD rate is 1.079% APY and the BestCashCow Savings Booster Calculator shows that moving money into the PenFed 5 year CD will result in an additional $8,255 in savings on $50,000 over a 10 year period. Try calculating the extra money you would generate putting money into a PenFed CD. Almost anyone can join PenFed. Membership is open to those serving in the military or veterans as well as those belonging to a qualifying organization. In general, anyone can become a member by joining one of the participating organizations for a nominal fee. Organizations open to all individuals include National Family and Military Association ($20 one-time fee) or Voices for America's Troops ($15 one-time fee). This is a two for one as you can join worthy organizations and also be eligible to become a PenFed member and take advantage of their competitive rates. Share Certificates can be opened online, via phone or at a PenFed branch. Pentagon Federal Credit Union is the third largest credit union in the United States with over $15 billion in assets. All deposita re NCUA insured up to the limit of $250,000 per individual. Thanks to Shorebreak for letting us know about this rate increase!